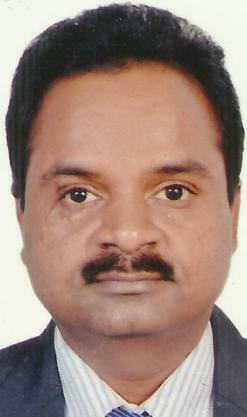 Dr. Atul Ambedkar is Additional professor in National Drug Dependence Treatment centre,New delhi. He is awarded the best prestigious Vidyasagar Gold Medal for best PG student in department of psychiatry from All india medical sciences,New delhi. His research interests are Drug Policies and Programs,Opioid Substitution Therapy (OST) and Epidemiology of drug use and HIV. 13) Atul Ambekar, Aditya Pawar, ¡§Low Dead-Space Syringes for HIV prevention among people who inject drugs: Interesting, but a much stronger case is required.¡¨ International Journal of Drug Policy,. 2012 Nov 2. pii: S0955-3959(12)00149-1. doi: 10.1016/j.drugpo.2012.09.009. „15) h Ravindra Rao, Atul Ambekar, Seema Yadav, Hem Sethi, Anju Dhawan, ¡§Slow-release oral morphine as a maintenance agent in opioid dependence syndrome: an exploratory study from India¡¨ Journal of Substance Use, 2011; Early Online:1¡V7 „h Larance B, Ambekar A, Azim T, Murthy P, Panda S, Degenhardt L, Mathers B, ¡§The availability, diversion and injection of pharmaceutical opioids in South Asia¡¨, Drug Alcohol Rev. 2011 May;30(3):246-54.